4/11/2016�� Butternut Squash Pie. 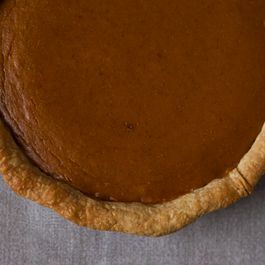 This smooth, spicy made from scratch Butternut Squash Pie tastes even better than the traditional pumpkin pie!! 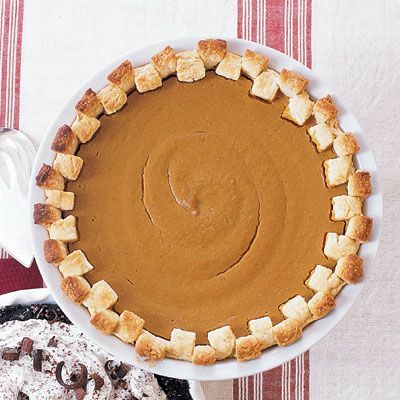 Make this one for Thanksgiving dessert and EVERYONE will be asking for the recipe and wanting to know what your secret is!... This pie was inspired by a side dish that I often make during the fall, where I roast butternut squash with a honey glaze and a generous pinch of coarse salt. The honey really compliments the natural sweetness of the squash and the whole dish is a nice accompaniment to a savory pork or turkey roast. Preheat the oven to 200?C/400?F/gas 6. Lightly grease a deep, 25cm loose-bottomed tart tin. To make the pastry, chop the butter into 1cm cubes and place in a food processor with the flour, icing sugar and a good pinch of sea salt.